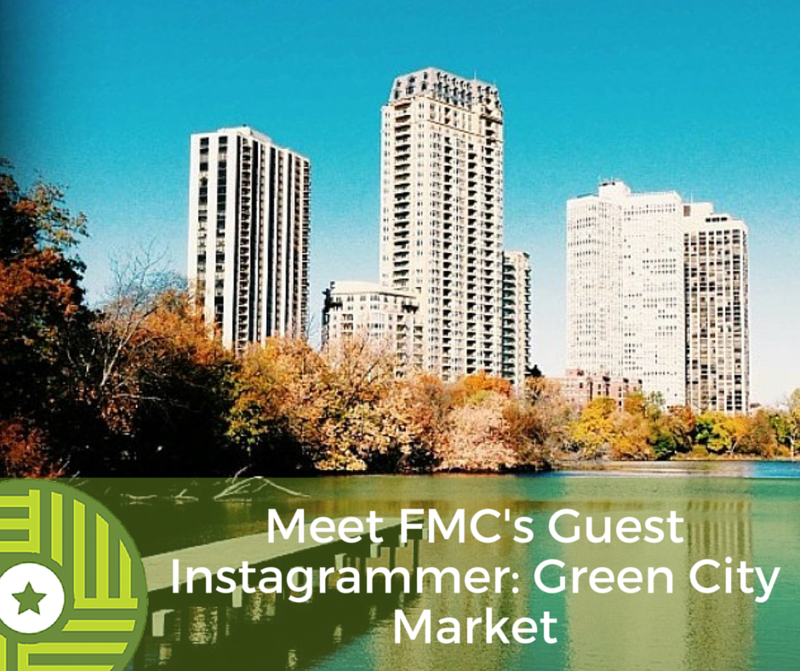 As the lights dim on another year and we bid 2015 adieux, we say hello to Chicago and enthusiastically welcome Green City Market as FMC’s first Guest Instagrammers in the brand-spanking new year of 2016! How does GCM hold it down in the Windy City? Manager Kathleen Williams explains how. Farmers Market Coalition: Tell us all about Green City Market. Kathleen Williams: Abby Mandel founded Green City Market in an alley next to the Chicago Theater in 1998 with a handful of farmers and only a few more shoppers. Over the next decade she nurtured the organization, driving it forward with her determination, humor and clear-sighted vision. She made the Market what it is today. Green City Market is a 501 (c) (3) not for profit organization celebrating our 17th anniversary. Operating as Chicago’s only truly “green” farmer’s market supporting and promoting local, sustainable agricultural practices, the mission of Green City Market is to provide a marketplace for purchasing sustainably grown food that educates, promotes, and connects farmers and local producers directly to chefs, restaurateurs and the greater Chicago community. Our vision is to create a national marketplace model for distributing, promoting and educating about local sustainably-grown food. Green City Market values education about quality food and its source. We value farmers who take care of the land; the preservation of sustainably farmed land; a vibrant, thriving community of local farms; and consumption of locally grown foods. We are a producer only market with over 50 vendors with products ranging from meats, cheeses, produce, homemade pastas, prepared foods, bakery items and other artisanal items. The market is ran primarily by paid staff with a large amount of help from our volunteer base. GCM is year round. We are outdoors May-October and Indoors November-April. Our Outdoor market is located in Lincoln Park and our Indoor market is located in The Peggy Notebaert Nature Museum. Green City Market’s incredible momentum comes from our broad base of support including conscientious and caring farmers and producers, consumers, chefs, restauranteurs and other culinary professionals. It also reflects Chicagoans’ increasing concern for a more sustainable food system by improving the quality of food on our table produced by local farmers using organic and sustainable practices that preserves the environment for future generations. GCM’s support of these local artisan farmers and producers increases the density of fresh, high-quality, locally produced food in Chicago, and provides the basis for a regional cuisine. 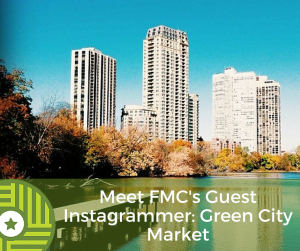 FMC: How has Green City Market become a local attraction for Chicago residents? KW: There are several ways we generate neighborhood excitement for GCM. We put on numerous special events throughout the season and promote our food access and nutrition education programming, including our SNAP program and Club Sprouts Program for kids. Live music and chef demos are staple activities at our market and are popular attractions among our patrons. FMC: How does GCM use social media as a way to promote its vendors, events, programming, etc? KW: We maintain a robust social media presence and newsletter, both of which successfully spread the word about events and programming happening at GCM. GCM has a large social media following and uses Facebook, Instagram and Twitter everyday as a way to communicate to our shoppers, chefs, vendors and the overall public. At the moment, we believe Instagram yields the best results since we are able to post pictures at market to entice shoppers. Chicago has a large local food scene, so we are constantly communicating and connecting with other farmers markets, farmers and local food enthusiasts through our Social Media Outlets. FMC: What is GCM most excited to share with our Instagram followers? KW: We’re really looking forward to showcasing GCM’s mission statement: To improve the availability of a diverse range of high quality foods; to connect local producers and farmers to chefs, restaurateurs, food organizations and the public; and, to support small family farms and promote a healthier society through education and appreciation for local, fresh, sustainably raised produce and products. Keep up with GCM’s story by following FMC on Instagram!